He looked just like his daddy. He got his furrowed eyebrows and his tiny chin. When the light hit just right, little bits of red shimmered in his hair. That red hair, just like we had always dreamed he’d have. He got my nose; that little button nose. His fingers and his toes were all me: long and thin. They made me think that he would have been a musician; that he would’ve picked up various instruments just like I did…. I never expected that he wouldn’t have a future. It didn’t cross my mind that his pregnancy would be all that I would get with him. I thought I’d get a lifetime to make new memories. Losing him was unexpected. He was a perfect, healthy baby. My labor was long. I sat in a hospital bed, listening to his strong heartbeat; to his hiccups. I couldn’t sleep or eat. I was miserable, but that sound was the best thing in the world. I impatiently waited for him. The memories are a little cloudy. The more clear they are, the more painful they are. The rushes of people around me. My husband being ushered out of the room. As nurses gathered around my son, giving him air that he couldn’t get on his own, it still did not occur to me that he wouldn’t be coming home with me. It seems so strange. 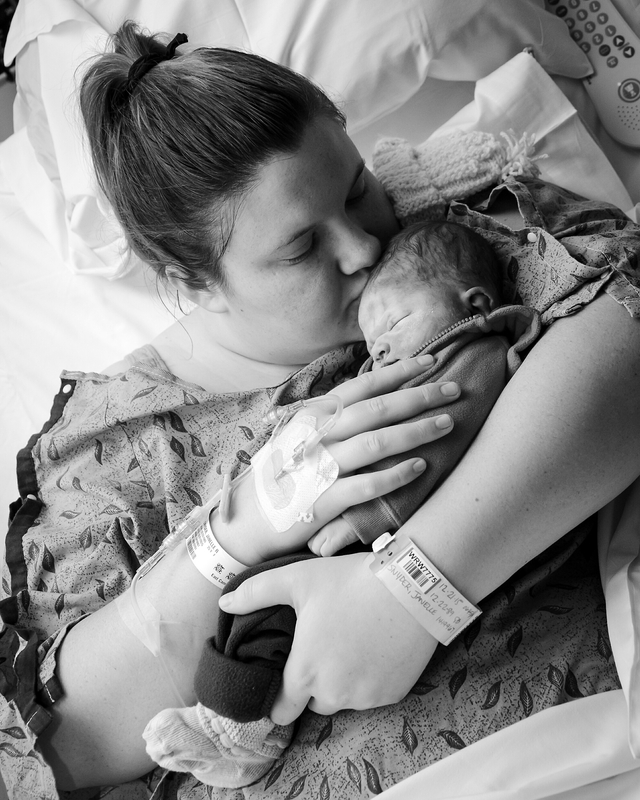 In one instant, when my son was placed into my arms, I simultaneously experienced that most incredible, proud moment of my life; and also the most heartbreaking and painful moment. He was 6 pounds, 13 ounces. He was 20 1/4 inches long. He fit so perfectly in my arms, right where he belonged. The softness of his skin left me in awe. I stared down at that perfect angel, and could not believe that I was a part of creating him. Of this, I will always be proud. Lincoln made me a mom. I’m better because of him. I wish that I could hold him in my arms; but, until then, I’ll hold him in my heart. I’ll do everything I can to help him leave a legacy. I’ll share him with the world. And I will love him with all that I have.